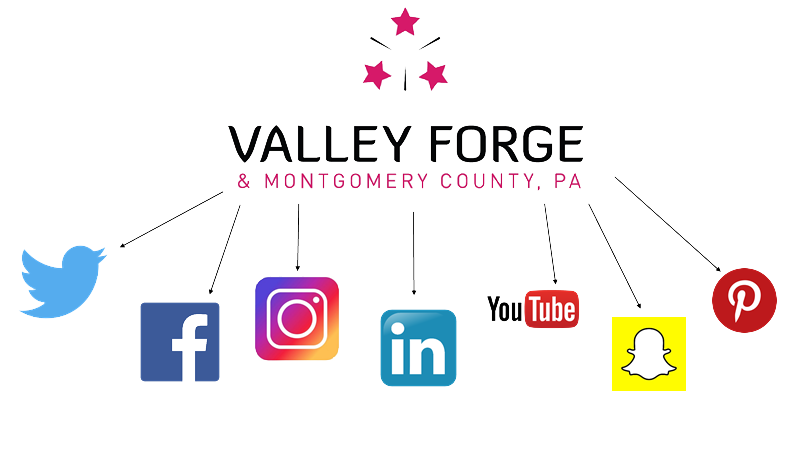 The Valley Forge Tourism & Convention Board has more than 110,000 followers across all of its social media channels. Between July 1, 2016, and June 30, 2017, the VFTCB's following grew by 44%. And that is only going to continue to grow as our marketing team continues to create and share more content for all of its brands. Of all our channels, Facebook is by far our most popular with more than 96,000 followers for Visit Valley Forge and our portfolio of brands. Facebook is also the largest driver of traffic to ValleyForge.org, accounting for 688,000 visits between July 1 and June 30. That's more than 50% of all site visits. 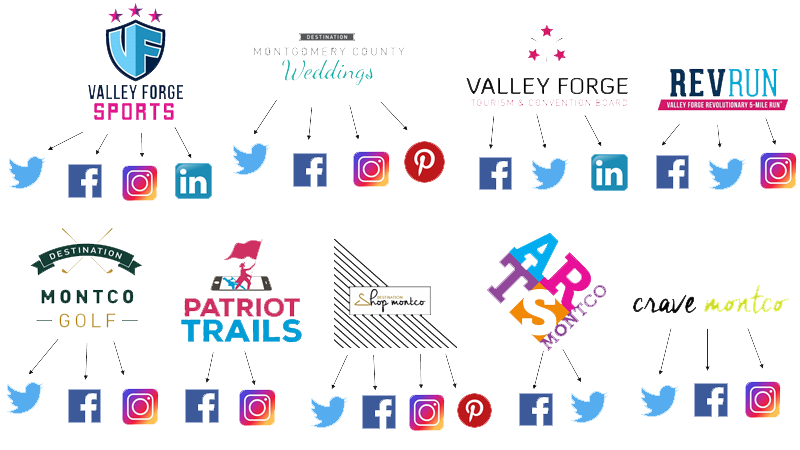 In addition to Visit Valley Forge, our main social media account, we are active on social media with nine of our brand accounts. Crave Montco, our dining brand, is our most popular on social media and on the website. CraveMontco.com had more than 270,000 website visits last year, and more than 85% of that traffic came from our Crave branded social media. HOW DOES THIS BENEFIT MEMBERS? While our social media team may not share your Facebook post or Tweet, all of the content we share is meant to drive business for our members.